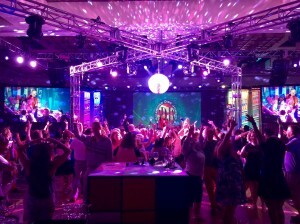 The entertainment facet of a Disc Jockey service is the one people most commonly think of when considering hiring a Disc Jockey for their wedding reception or special event. 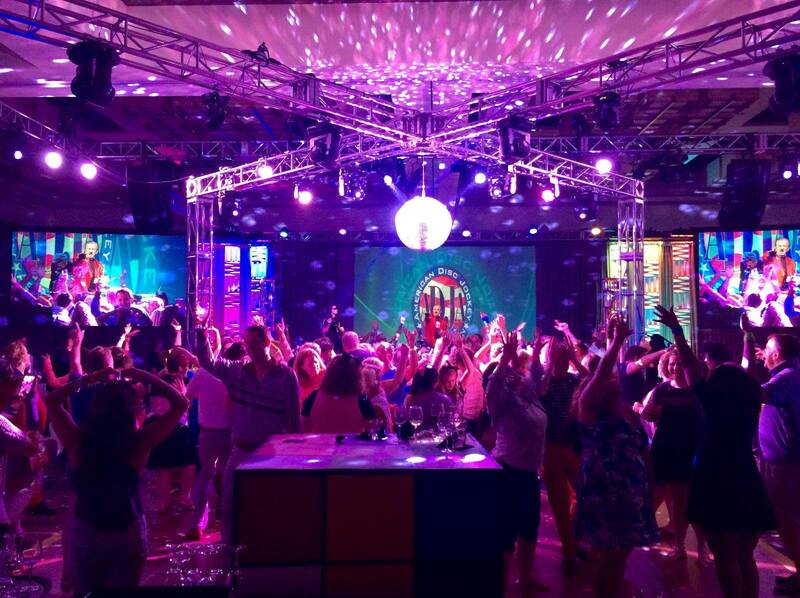 This is the ability to read the crowd and play just the right music at just the right time to motivate your guests out of their seats and onto the dance floor. This entails finding the format and style of music from your requests and those of your guests, and then mixing them all together in such a way as to keep the dance floor full, while pleasing all age groups and varied tastes throughout the event. This skill is definitely rare and extremely crucial if you want your guests to have a rip roaring time when the dancing starts. We never have to beg or cajole your guests out onto the dance floor. There are certain things we do that not only fill the dance floor, but keep it full as well. We also have a broad range of entertainment experience to draw from, allowing us to do performances, if they are desired and appropriate. Also, we can find the perfect person in the crowd who, when they are handed just a simple prop, like a toy electric guitar, will quickly become a visual gag for your guests to enjoy. With the right information about the individuals in your wedding party, we can do a grand entrance that will be second to none, with song clips, sound effects and audio clips from movies that will accent and enhance each of the short biographies we will read about them. These are usually done in a format similar to a roast. Of course, we will only do, say or perform the things you have already approved. Our long list of entertainment experience includes: On-Air Talent for Top40 Radio, Voice Over, Acting, Stand-Up Comedy, Public Speaking and Teaching, Singing and renting a lot of movies at Blockbuster -(that one doesn’t really count). Whether you want your guests to laugh, dance or cry tears of joy, we have the capability, the experience and the skill. Because … That’s Entertainment! Here is an image of one of our recent events!